That seemed to be the consensus of those who attended our first ImageCon, sponsored by Cloudinary and held last week at the Four Seasons in San Francisco. A conference focused solely on managing images, ImageCon featured a great line-up of speakers from companies like Cloud Four, Etsy, Microsoft, SpeedCurve and Smashing Magazine, who talked about responsive images, compression, formats, how to measure image performance and why that performance matters to your business. And after hearing from our speakers, many of our attendees realized just how much there was to know about images, and how much they were able to learn in just a one-day conference. ImageCon hosted companies of all sizes and from many verticals – some attendees even traveled across the country to attend this sold-out event! 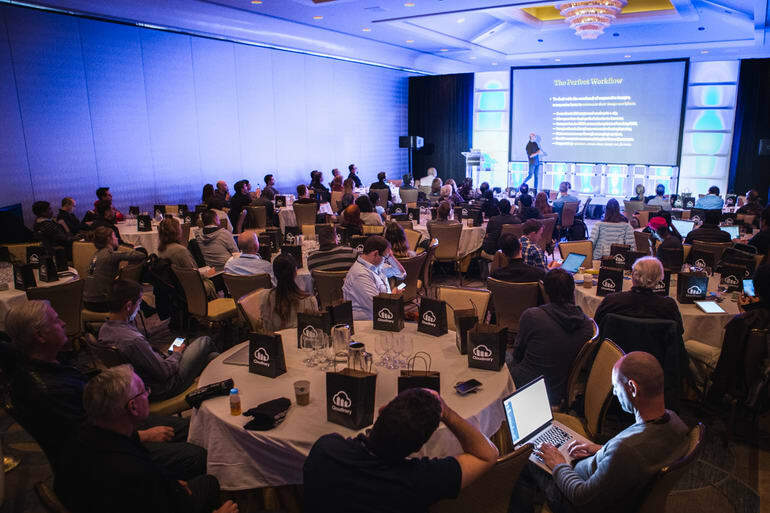 Nearly 40 percent of attendees were engineers – front-end, back-end and full stack. But we also attracted C-level executives (18 percent), and content marketers and product managers (about 7 percent each), among others. Regardless of their roles, attendees told us they left with a better understanding of how much images can impact their individual jobs, as well as the overall company performance. Images can positively impact revenue, the customer experience, the user experience and even brand perception if they’re optimized to perform well on the end users’ device of choice. With the excitement generated at our first ImageCon, we’re looking forward to hosting the conference again next year in San Francisco (by popular demand!). Want to be added to the ImageCon email list? Email us here, so we can be sure to contact you with the date, location and registration information. If you weren’t able to attend ImageCon 2017, but want to listen to one or all of the talks, check out the Cloudinary Youtube channel. And if you are interested in downloading the slide decks, those are also available on the Cloudinary Slideshare page.